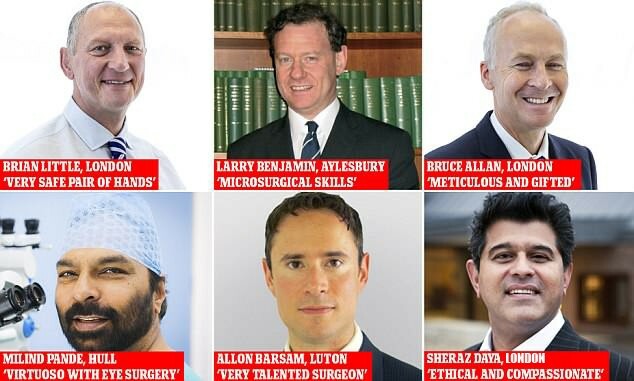 The Daily Mail’s ‘The Good Doctors Guide’ identified Mr. Sheraz Daya Centre for Sight’s Medical Director amongst UK’s top cataract surgeons. Centre for Sight has since being established in 1996 strived for excellence at all levels from obtaining phenomenal outcomes through to an exemplary experience and providing this with absolute integrity. It is delight to learn that Sheraz Daya has been viewed by his peers as being amongst UK’s best cataract surgeons. He has been a major influencer in Laser eye surgery, corneal transplantation, stem cell transplants and cataract and lens replacement surgery. He is responsible for the introduction and development of revolutionary technologies that have in some cases become the gold standard for surgery. We congratulate Mr. Daya on this wonderful achievement. Congratulations also to others included in the list. Ophthalmologists – Brian Little, Julian Stevens, Larry Benjamin, Bruce Allan, Milind Pande, Sathish Srinivasan, James Ball, Paul Rosen, David Gartry, Vincenzo Maurino, Romesh Angunawela, Allon Barsam, Hosam Kasaby, Ali Mearza and Jonathan Jagger.